Lone Star Luau Where: Marble Falls, TX Date: February 1-3, 2019 Organizers: Thom Shepherd http://www.lonestarluau.com Lone Star Luau is bringing some great singer-songwriters, bands, and music to throw a great trop rock party. “Our goal is to blow people away each year,” Shepherd said. “And we also want them to have some great memories. 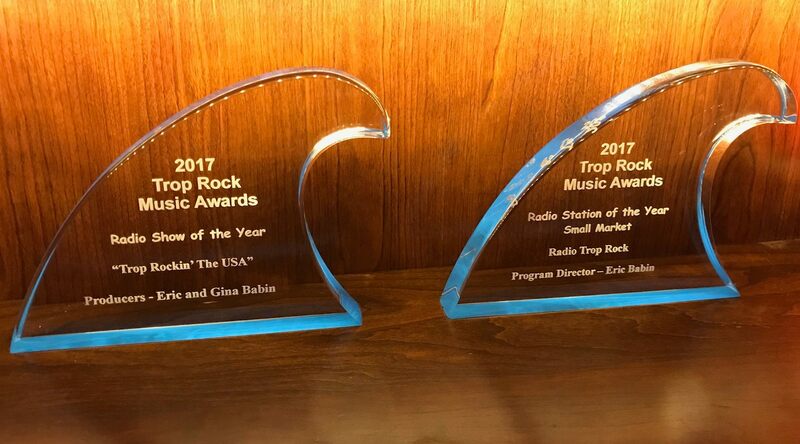 The Annual TRMA Trop Rock Awards provide an opportunity for our Association and it's members to recognize the outstanding artists, songwriters, fans, radio stations, venues and others who make this genre so great. The 11th Annual TRMA awards was held Friday, November 2nd in Key West, Florida. Congratulations to the 11th Annual TRMA Trop Rock Music Awards winners. We had a fabulous ballot of nominees and the TRMA wishes to thank all of you for what you do for the Trop Rock world. This award recongnizes bands with 4 or more members and primarily perform in this configuration. This award recognizes the best LIVE performance by an independent Trop Rock solo, duo, trio or band. Nominees in this category are TRMA Academy members and have released an independent CD of new original Trop Rock music in 2017. Compilation CD's do not qualify. This category is open to ALL Trop Rock artists who released an original Trop Rock song in 2017. They do NOT have to be Academy members, and the song does not have to be part of a qualifying album. The song qualifies if it was only released as a "single". This award recognizes a Trop Rock solo, duo, trio, or band who shows the most promise for contributing to the Trop Rock genre through performance, songwriting and recording of their original music. This award recognizes outstanding musicianship, and is intended to recognize band members, not individual artists or band leaders, but the other musicians in the band or musicians who play with various artists. 10. Songwriter The final ballot for Songwriter of the Year will be voted on by the TRMA Academy members and Board of Directors.The nominees on the final ballot based on the nomination round voting are: Donny Brewer, Jack Mosley, Jesse Rice, Thom Shepherd, and Cory Young. This award recognizes the owners of a for-profit live music venue that features Trop Rock artists. This award recognizes the host/hostess of a non-profit concert-style shows featuring Trop Rock artists. It is broken into small & large venues. This award recognizes events/festivals who feature multiple Trop Rock artists. Meeting of the Minds is not considered in this category because it is a National Convention. It is divided into small and large based on registered attendees at the 2017 event, and an award will be given for each category. This award recognizes a Trop Rock "fan" for their support and promotion of Trop Rock music. It is meant for an individual and not a group. Previous winners are NOT eligible. All Paths Lead to Trop Rock! The best place to hear a variety of Trop Rock music is to check out many of the wonderful radio stations that play the music and support our genre's artists. Click here to check them out! There are many live music venues across the US that support live Trop Rock music. From house concert venues to bars and restaurants, check out our list of venues that support our artists by clicking here! Want to check out many Trop Rock artists in one location? We have you covered. Throughout the year there are numerous Trop Rock music festivals at fabulous locations across the country and abroad. Click here to check some of them out. Don't wait long, they sell out fast! The TRMA could not provide the support to the Trop Rock genre without the financial assistance from our membership and sponsors. We have a variety of sponsorship opportunities available. If you have a unique sponsorship need please reach out and discuss what we can do to help you tap into the Trop Rock lifestyle. Click here to learn more.